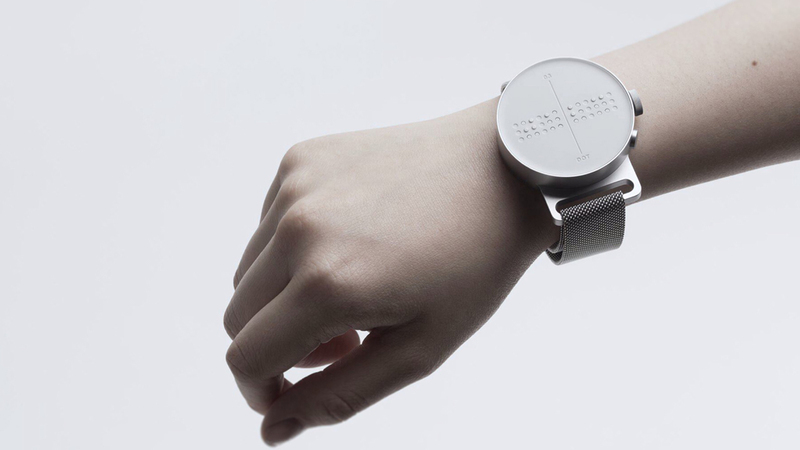 A South Korean start-up is giving visually impaired people the chance to do everyday things the rest of us take for granted using a beautiful Braille smart watch. 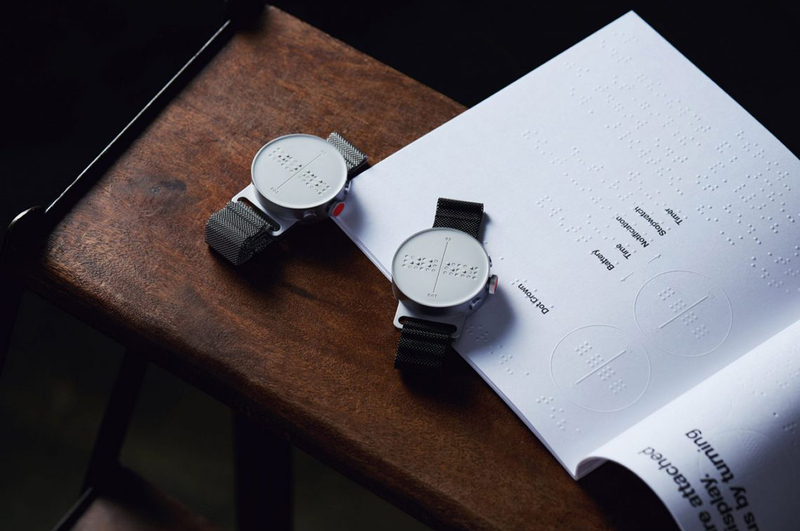 Based in Seoul, Dot Incorporation is behind the award-winning Dot Watch – the world’s first Braille smart watch, which this month won the Life-Enhancer of the Year award at the Wallpaper* 2018 Design Awards. Dot Watch has collected a swag of awards in the past year in recognition of its refined minimalism and its passion for helping the vision impaired lead more independent, fulfilling lives. There are already watches that read aloud for everyone to hear – but this can be mortifying for someone who’d rather not draw attention to their disability. 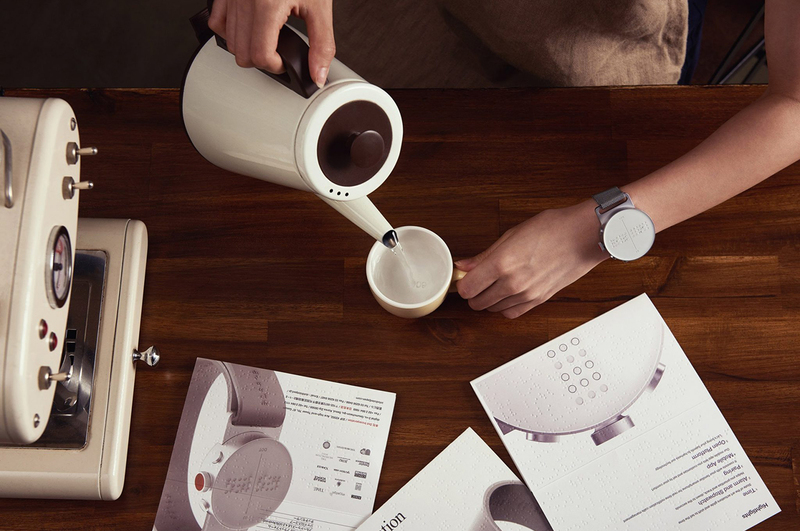 Dot Watch allows people to read silently, like everyone else. “It’s the little details, like this, that we care about,” explains the company. There are 285 million visually impaired people around the world, and Dot’s founders believe that helping them achieve Braille literacy can only enhance their dignity as human beings. “Every time technology moves forward we see more real-time information, but for the blind, that’s a widening discrimination gap,” explains Eric Ju Yoon Kim, CEO of Dot Incorporation. “Ninety per cent of people become blind after birth, and there’s nothing for them right now – they lose their access to information so suddenly,” he says. Dot’s most striking feature is its sleek, contemporary design. 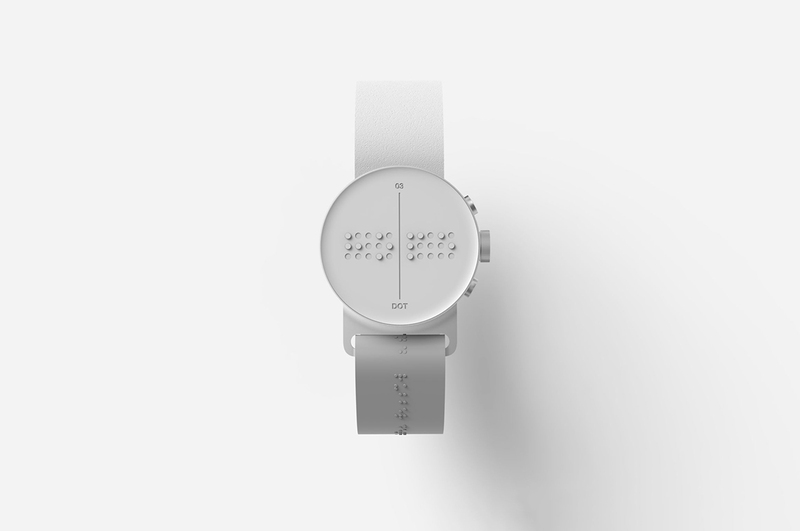 Most Braille devices are ugly, bulky, and cost thousands of dollars, whereas the Dot Watch retails for around US$300 and acknowledges that blind people have the right to stylish design, too. 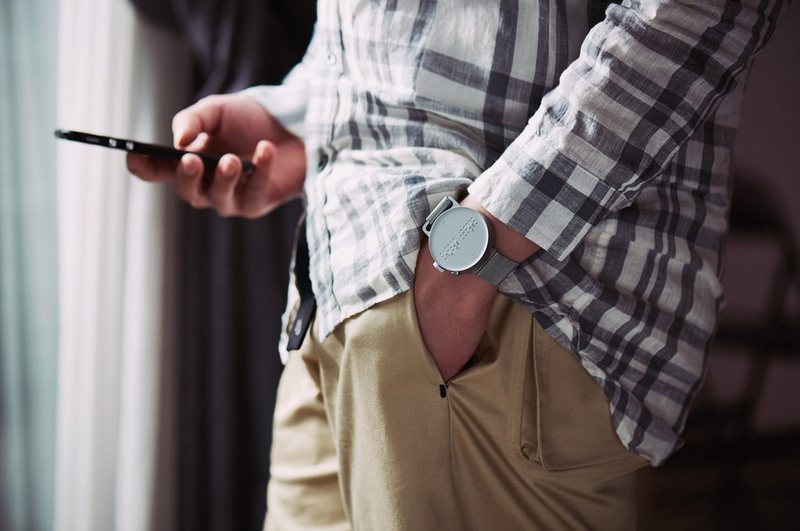 The watch connects to your smartphone using Bluetooth, and works using 24 touch sensors, which are controlled magnetically. 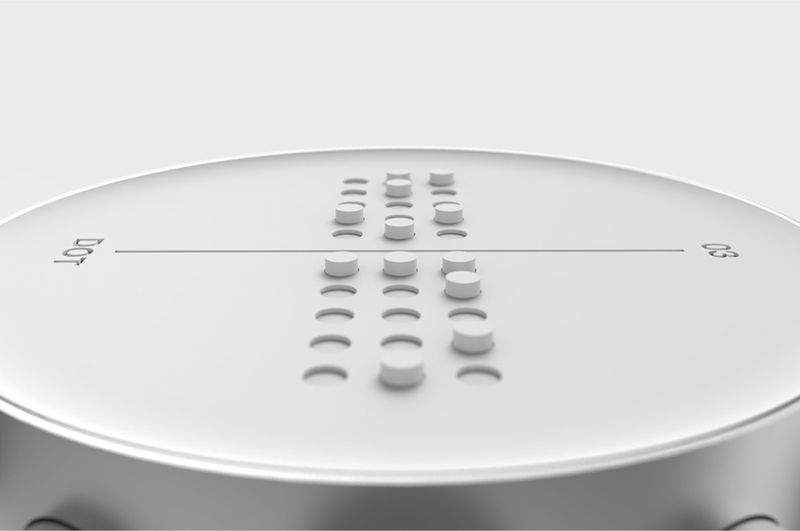 Tiny dots form different Braille symbols, and can interpret any text from any app. It’s also an open system, which means anyone can write apps for it. Despite having a brilliant idea, Dot’s founders – Eric Ju Yoon Kim and Titus Cheng – weren’t entirely sure how to promote and market their product until they were introduced to advertising executives at Serviceplan Korea. The agency has since helped them devise a PR and communications strategy and promote Dot at a global scale, leading to 60,000 pre-orders. The active Braille market is ripe for disruption, and Dot Incorporation hopes to “return equal information access to a demographic that has been left behind in the age of real-time digital text,” according to Tech in Asia. It’s been one year since the Dot Watch launched in Korea in March 2017, followed by the US in December, and it’s the first of many disruptive ideas to come. The company is already working on Dot Pad, an active Braille tablet, while Dot Mini will help people learn Braille in countries where Dot Watch’s $300 price tag is out of reach. 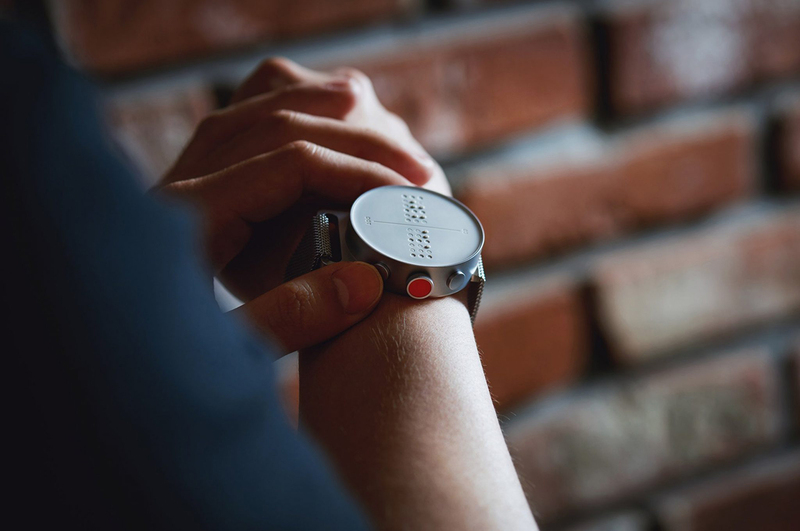 – Aside from the ingenuity of the technology, Dot Watch demonstrates great respect for the sight impaired through its beautiful industrial design. 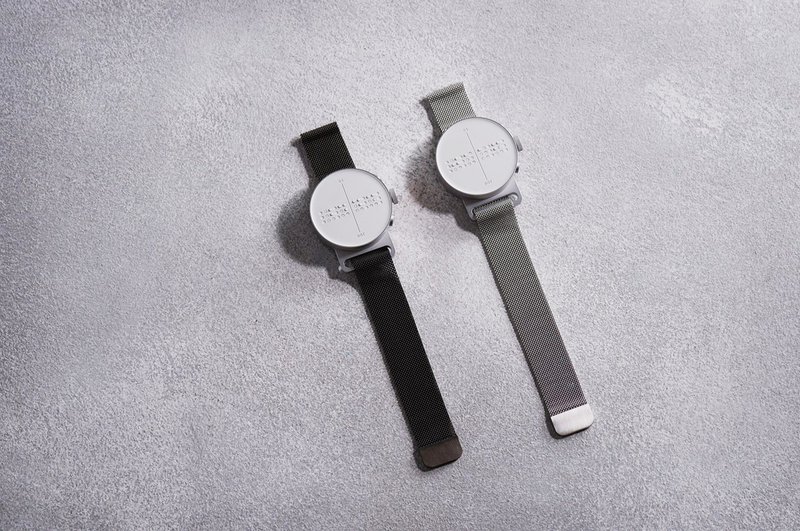 – Dot Watch is a disruptive idea, but disruption needs construction: the product’s success is supported by constructive brand-building, PR and customer experience design thanks to the company’s strategic partnership with Serviceplan Korea. – Dot is especially disruptive because it turns digital data into a physical analogue experience – whereas most tech firms are making analogue experiences more digital. – While it’s early days, it is clear that Dot’s vision to change the lives of the vision impaired, and their friends and families, is resonating with people all over the world.